A man who trapped a possum, shaved its tail and applied heat rub to its bare skin because it defecated in his bathtub has pleaded guilty to animal cruelty charges. Craig Simon Taylor, 38, of North Hobart, Tasmania, Australia, admitted the charge of causing pain to an animal over the incident. 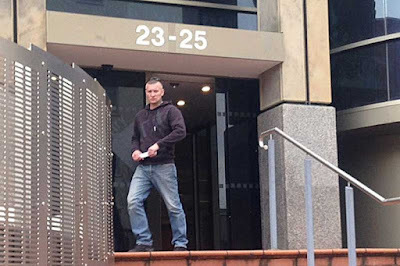 Hobart Magistrates Court heard the offence was discovered when a video of the incident was found during an unrelated police search. The court was told Taylor filmed the possum attempting to escape his bathroom. Police Prosecutor Mick Allen said that after trapping the marsupial’s tail in a window, Taylor then used an electric razor to shave it before applying Deep Heat ointment to the exposed skin. Mr Allen said the defendant’s voice was then heard to mention something about the animal having defecated in the bathroom. Defence lawyer Andrei Slicer said his client has since made peace with the animal. 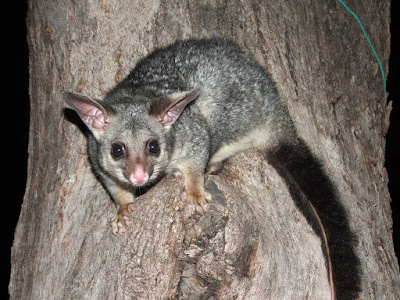 “The possum is still alive and well and lives in the same tree,” he told the court. “Mr Taylor extends the courtesy of feeding it from time to time and it suffers no apparent ill effect from the day in question.” Deputy Chief Magistrate Michael Daly convicted Taylor of the charge. “I regard the matter as completely unnecessary, quite serious and one which in my view no reasonable person would see any justification for,” he said. 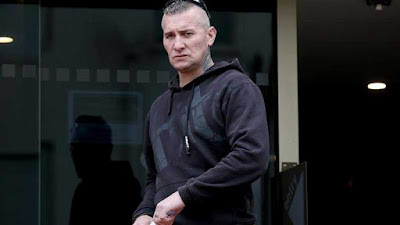 “To the extent you felt was justified because the animal defecated in your bathroom is of no weight whatsoever.” He sentenced Taylor to one month in jail, suspending the execution of the sentence on the condition the defendant be of good behaviour for 12 months. He also ordered Taylor perform 70 hours of community service and serve 12 months probation. Possums in Tasmania got hair on their tails? Hmmm. Possums here in the States come with a naked tail, which is why they're often mistaken for huge rats.